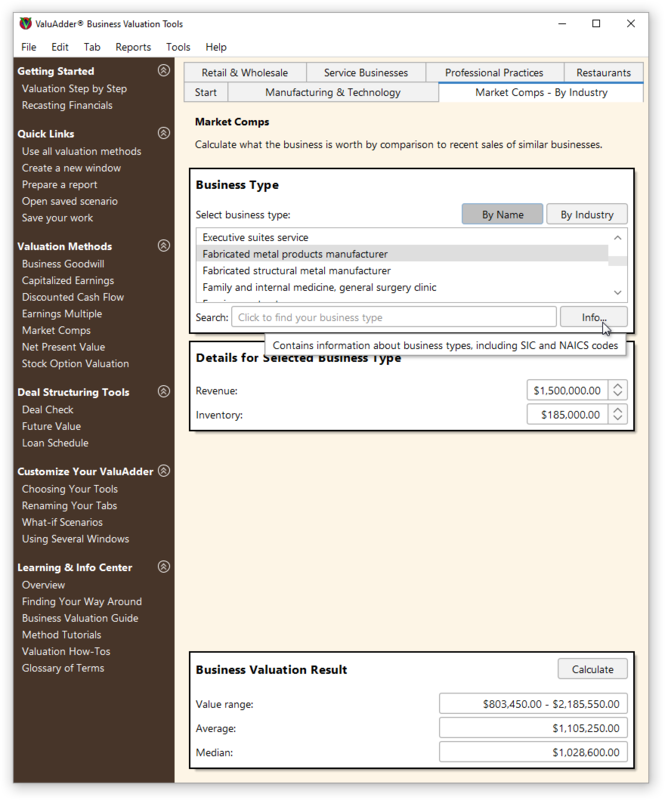 ValuAdder gives you the valuation multiples to value your business by market comparison in your industry. What are valuation multiples? Each valuation multiple is based on in‑depth analysis of recent business sales by industry. Select your business type from the list. Enter your business financial parameters such as revenue, cash flow, inventory, and assets. ValuAdder immediately calculates the business value range, average and median values.